Last month in this space I ran a preview of Time Fugitives, the new show at CCAS by artist Christopher Taggart, one of the brightest lights of the northern California art scene. Taggart’s art is process heavy, but there’s more than a simple ‘how long did that take?’ factor at work – the finished pieces are striking, savvy and sometimes, very funny. 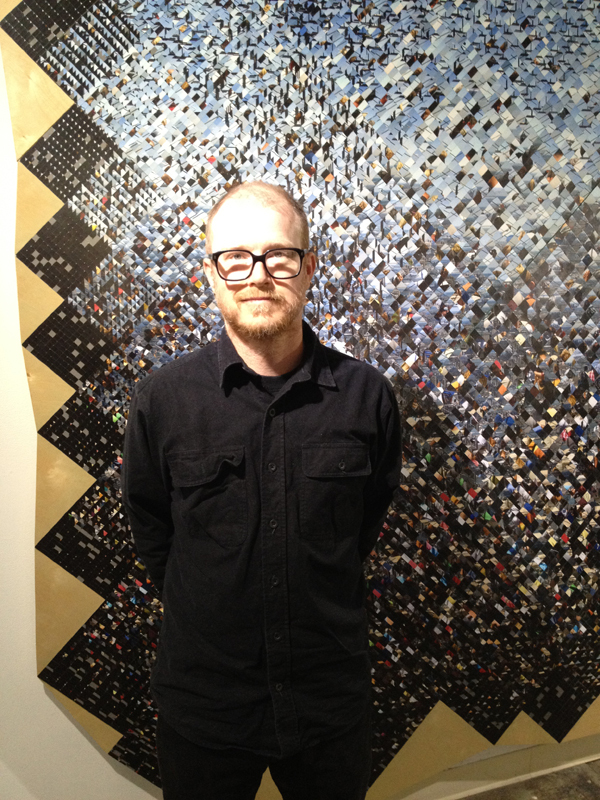 Taggart works in many mediums, but one constant thread is his fascination with perception. 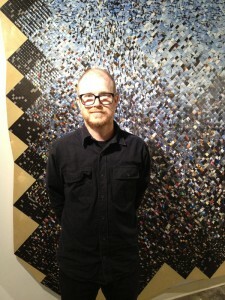 Whether he’s making a massive sewn-paper sculpture of a football, a ‘drawing’ (consisting of hundreds/thousands of smaller drawings) on aluminum sheet, or self portraits assembled from portraits of other people who share his name, Taggart is playing with both visual perceptions (often in the form of pixelization) and perception based on assumption.